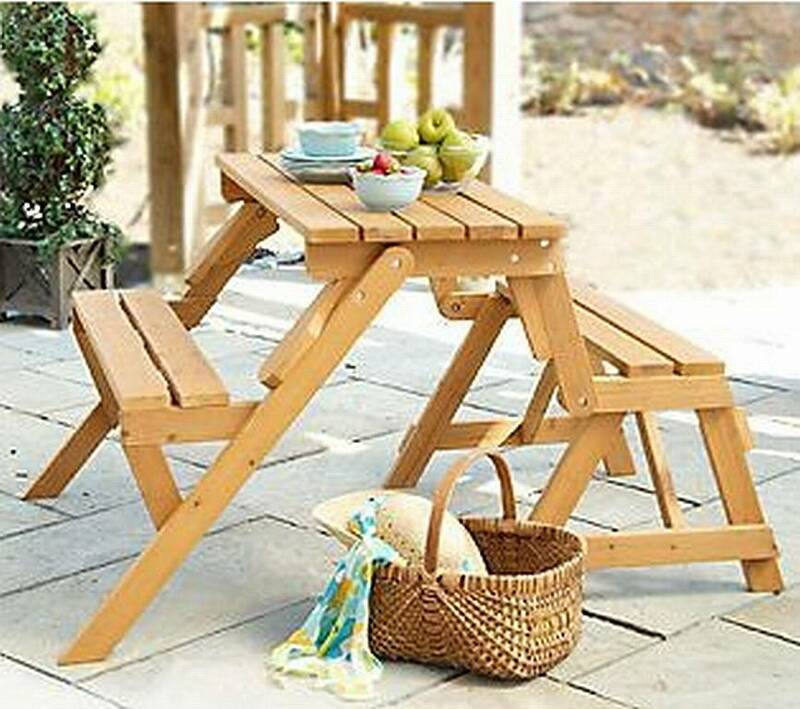 The Interchangeable Picnic Table/Garden Benchis a great 2 in 1 design. 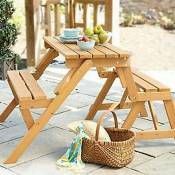 It easily changes from a picnic table to a durable garden bench. It is great for patios and backyards with limited space because it can be kept as a bench which reduces the amount of space it takes up. Just simply unfold it out into a picnic table as needed.It also includes an umbrella hole to fit a standard umbrella so you can relax in the shade. The Interchangeable Picnic Table/Garden Bench is made of Kiln-dried Fir wood with an oil-based stain. Minimum assembly is required. All hardware and easy to follow assembly instructions are included. Picnic table dimensions: 30 inches high x 54 inches long x 57 inches wide. Garden bench dimensions: 33 inches high x 54 inches long x 27 inches wide.